Pro Wrestling Illustrated rate Rousey as their best in the world for 2018. Ronda Rousey has scored the top spot in Pro Wrestling Illustrated's 2018 Women's 100 list. Debuting between the ropes in an incendiary mixed tag match with Kurt Angle, Stephanie McMahon, and Triple H at WrestleMania 34, 'Rowdy' has demonstrated a natural aptitude for pro-wrestling throughout her WWE run, transcending the early inconsistencies in her promo work to quickly become a three-dimensional sports entertainer. It took Rousey just over four months to become Raw Women's Champion, wresting the belt from Alexa Bliss' clutches at SummerSlam 2018. She has since defended the strap in a rematch, then against Nikki Bella at Evolution, and will now face-off with SmackDown counterpart Becky Lynch at Survivor Series (18 November). This accolade will spark controversy, but the PWI Women's 100 is a kayfabe list. 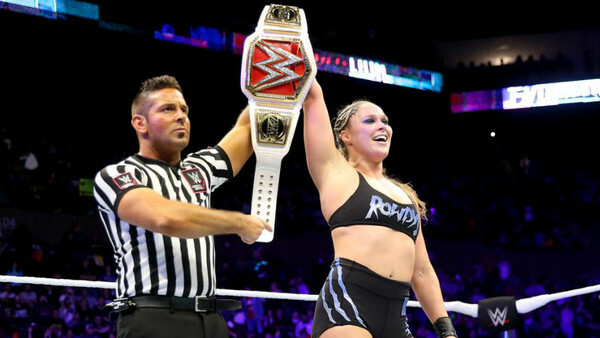 Wrestlers are ranked primarily on their push and accomplishments, so Rousey, as the biggest star in WWE and an undefeated champion, is the only real choice for the top spot. Rivals like Lynch and Charlotte Flair have seen their pushes waver throughout the year. Rousey has not. While promo skills, in-ring ability, and drawing power are all considerations, kayfabe remains the dominant factor, hence the selection.